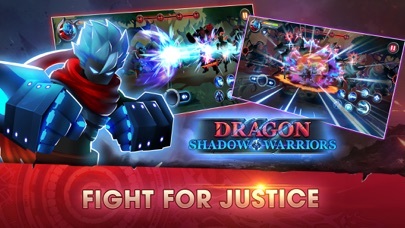 Dragon Shadow Warriors - App - App Rediscovered! A new offline combat action game just arrival: Dragon Shadow Warriors. This is an infinity battle between God and Devil in shadow shape. The dark is coming, our world is calling for a super hero who can fight for justice, to bright up the hope in the darkness and save the Earth. HOW TO PLAY: * Use combo attack to damage in wide range. * Transform to critical state to increase your power and health. * The shadow boss fighters are dangerous, avoid direct damage from them. * Collect the magic materials to craft rare items. * Fulfill your power and energy after a long shadow war. * Upgrade the skills to level 1,2,3, 4 or more to become stronger . * Your support items can also be upgraded to higher levels. FEATURES: * Details tutorial guide from a to z how to play * Transform hero to critical state like a super saiyan * Hero super skills: dragon call, lighting power, ball blast ring, magic punch * 8 demon death bosses in two planets * Packed with 120+ levels with a lot of challenges * Black market selling rare materials with surprise price * Inventory to store your assets * Daily reward and mystery treasures Let's fight as it is the last battle! Are you ready to be the greatest knight in this games? For some odd reason it has become very unbalanced because the 1zt Boss ends with one hit and I have leveled up significantly for juz that encounter. Most of the specials even when lvln up do little to no damage. Some balancing would help out a lot. Great luck on your creation for your next update.